I recently launched my website online. 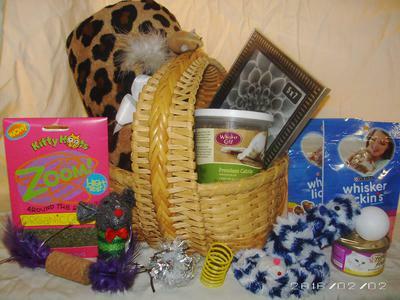 I custom make gift baskets just for cats and cat lovers! I have 3 cats, one of which is my youngest and the mascot/logo for the site! I advertise only in the U.S., but I reside in Las Vegas, Nevada! 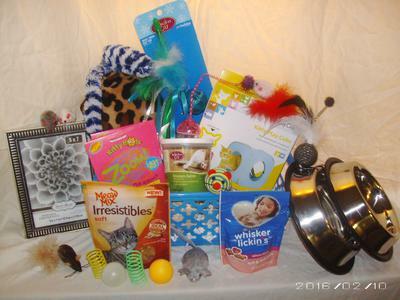 I carefully select items for my special baskets that are only approved by my own cats! 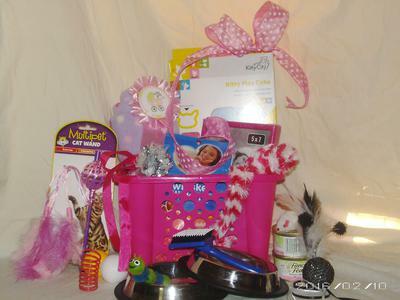 They range in different sizes and prices and themes, like 'welcome baby kitten' and 'spoiled rotten'! Of course, there is a VERY special one especially for the cat lover themselves... makes a great gift to give a friend/family member. Please come browse the site at Talktothepaw.net and LIKE us on FaceBook! Our mascot, Ariel, the kitten, has her own page called 'Ariel's Antics'. Have fun and God Bless your fur babies and your family!! This website is hella cool! I would come here if I needed a good gift for a cat loving person! This is a very cool site! 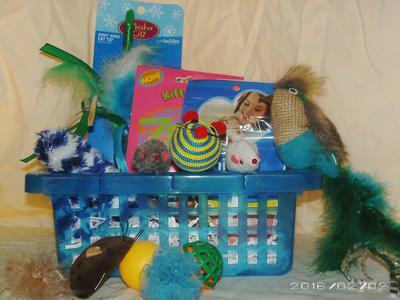 The highest quality toys for you felines. Prices are pretty darn great also. Would highly recommend. Looks like a fun gift for my cat! These baskets have really cool stuff in them! The prices are pretty reasonable too compare to others who give you less stuff and charge more it seems.